Abigail Brown has been producing contemporary designs in silverware and jewellery since graduating in 2001 and has had work exhibited internationally at venues including the Victoria & Albert Museum, the Saatchi Gallery, Goldsmiths' Hall and the German Goldsmiths' House in Hanau. Her silverware has been included in a number of important events such as 'Collect' by the Crafts Council; the 'Silber Triennale' in 2010, and again in 2013, which toured Germany and Belgium for over a year; 'Talente' held at the International Trade Fair for the Skilled Trades in Munich; she was the only UK finalist for the 'BKV Prize 2010 for Young Applied Arts' at Bayerischer Kunstgewerbe-Verein e.V. also in Munich; and in 2015 she was awarded the Bayerischer Staatspreis (Bavarian States Prize). Abigail's silverware and jewellery is widely collected and is included in the public collection of Amgueddfa Cymru - National Museum Wales in Cardiff. In December 2014 Abigail became a Freeman of the Worshipful Company of Goldsmiths' and in June 2015 she received the Freedom of the City of London. Abigail produces work predominantly in silver using traditional methods. She specialises in hand raised vessels, bowls and objects, as well as boxes and jewellery, using a hammer forming technique known as raising - meaning literally to 'raise' the the metal from flat sheet into a vessel. 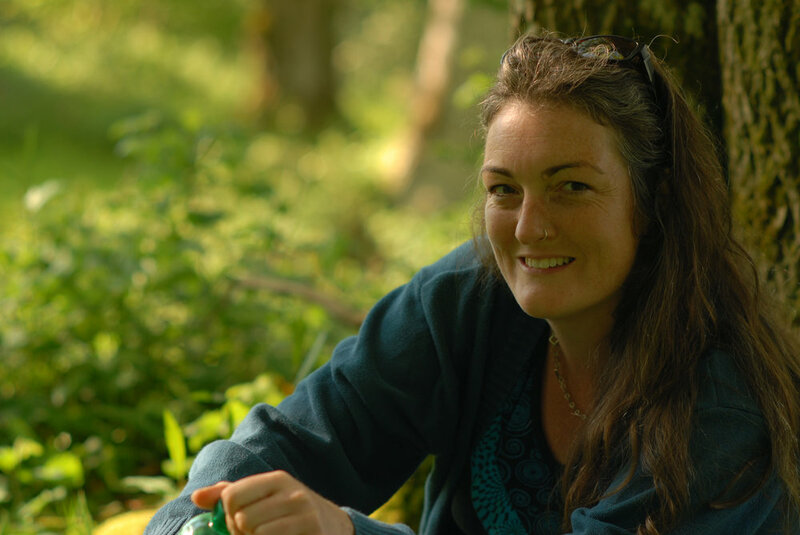 Current research themes for her work include the human form, plant life, and archaeology. In the course of her investigations Abigail looks at photography both her own and that of artists such as Imogen Cunningham and Karl Blossfeldt; observational drawings; Neolithic artefacts like the 'Venus' figures; and bronze age weaponry. Her Jewellery is currently focused on the themes of 'Silversmithing for the Body' – using traditional silversmithing techniques to create large pieces of jewellery or 'sculpture' for the body or domestic environment. The theme of 'the Body as a Landscape' is also a recurring source of inspiration and investigation - the relationship between our selves as humans and nature; the relationship of the jewellery with the body; the placing of that jewellery within the landscape of the body; and the landscape of the Earth perceived as a human body. Abigail has undertaken a number of residencies and opportunities. In 2010 she spent three months in Nepal working with the Esther Benjamins Memorial Foundation, teaching vulnerable adults jewellery making skills. In 2011 Abigail undertook a residency with the National Park Service in the Gates of the Arctic National Park & Preserve, situated above the Arctic Circle in Alaska. Upon her return, she completed a number of pieces from research gathered whilst undertaking extensive wilderness travel. The first vessel in the series was exhibited with the Contemporary British Silversmiths' at the V&A in 2012. The vessel – 'Tundra' – evolved from observational field drawings and photographs produced during the residency. Abigail's main focus was the plant life, the tiny tundra plants surviving under huge skies, mountains and weather. She continued this theme for work that was later represented at 'Collect' with Contemporary Applied Arts. In 2014 Abigail had the opportunity to work with renowned Silversmith Rod Kelly at the South House Silver Workshop in Shetland. This visit resulted in the vessel 'Eshaness' which illustrates the windswept landscape of Shetland. Abigail has now continued this theme looking at the similarly weather beaten landscape of Cornwall, where she lives and works. This has resulted in pieces like 'Artemis' Vessel and 'Penwith' Beaker (commissioned by New College Oxford).